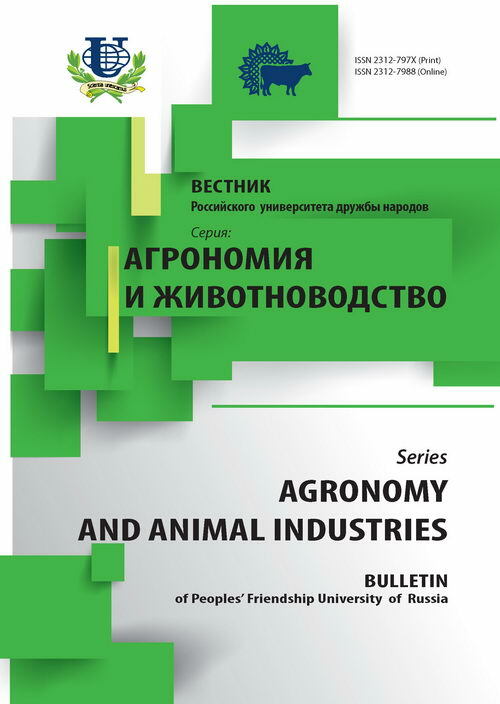 Authors: Zabolotnykh M.V., Dikikh A.A., Seryogin I.G., Nikitchenko V.E. Studied chemical composition and amino-acid content of meat in broiler muscle tissue, mostly treated diet feed additive “Mikofiks” in comparison with the meat of broilers not receiving supplement. 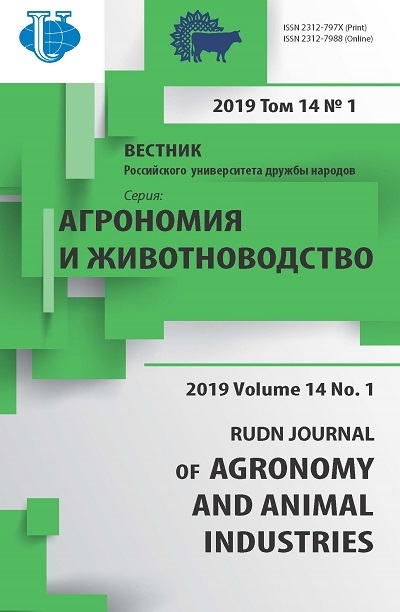 Define the comparative evaluation of the biological activity of the experimental and control of meat chickens, protein amino-acid score of pectoral muscles of broilers of cross-country “Siberian”. It was found that the use of the feed additive “Mikofiks” increases the physiological activity of chickens and weight gain. The chemical composition and calorific value of broiler meat treated with the additive does have some differences from the meat of chickens that received feed without additives “Mikofiks”. The moisture of meat of experimental chickens was an increase in 1.68%, and the energy value in 10,3-10,7%. In the white meat broiler of experimental group content of essential amino-acids in total increased by 2.7%, nonessential amino acids content decreased by 0.79%. The ratio of the amount of essential amino acids indispensable to the white meat of chickens of experimental group was 2.89% lower than in the control of broiler meat. However, the ratio of tryptophan to hydroxyproline increased by 23,6%. In the protein broiler of experimental group took place a limiting amino-acid (score) - tryptophan. Based on the conclusions of the data that the feed additive “Mikofiks” fattening broiler increases weight gain, and positive changes in the chemical composition of the meat defined by increased content of some essential amino acids, with the score (the limiting amino acid) - tryptophan. chickens-broilers, additive “Mikofiks” meat, chemical composition, amino-acids, amino-acid score, biological value, caloric. Copyright (c) 2016 Заболотных М.В., Диких А.А., Серегин И.Г., Никитченко Д.В.